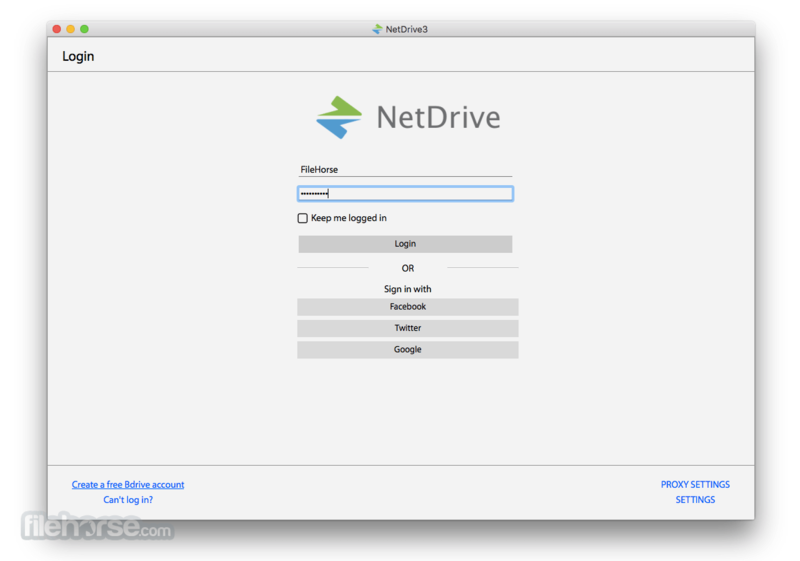 NetDrive for Mac connects remote storages and show them like a hard disk. With NetDrive, your Mac will have multiple new drives that connects ftp/webdav servers and cloud storages. 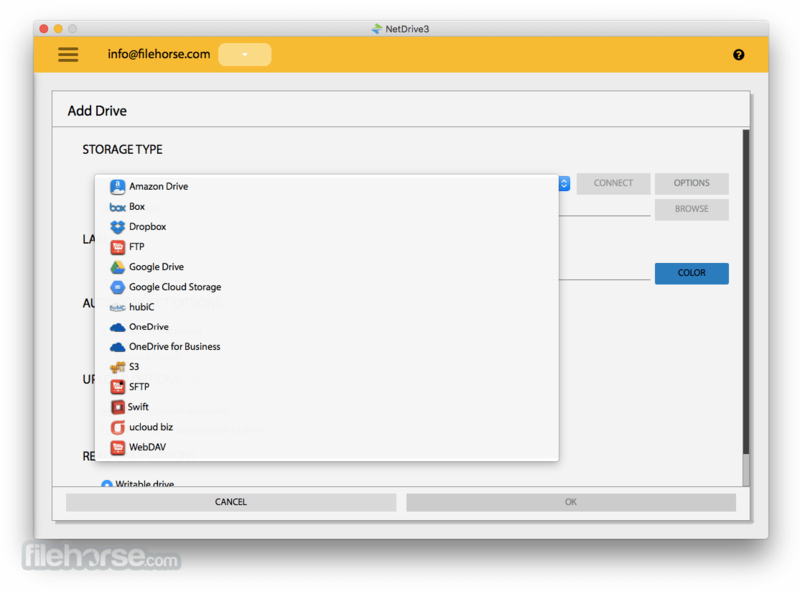 NetDrive supports connections to Dropbox, Google Drive, Box, SkyDrive, Amazon S3 and OpenStack Swift. 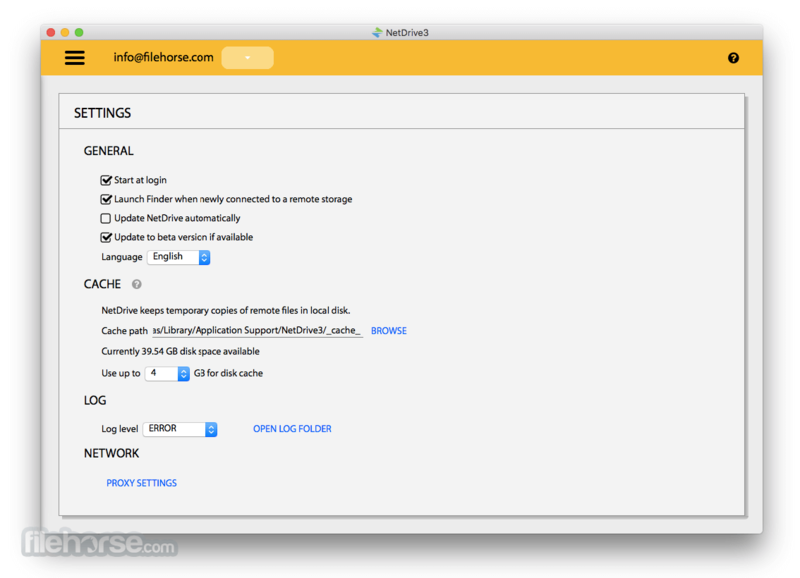 Accessing files will be as easy as any old file folder on your Mac. Once you mount the local drive, you don't need to run each application for an FTP or cloud storage services. Client interface but a simple drag-and-drop in your Explorer will be sufficient to transfer and manage files. 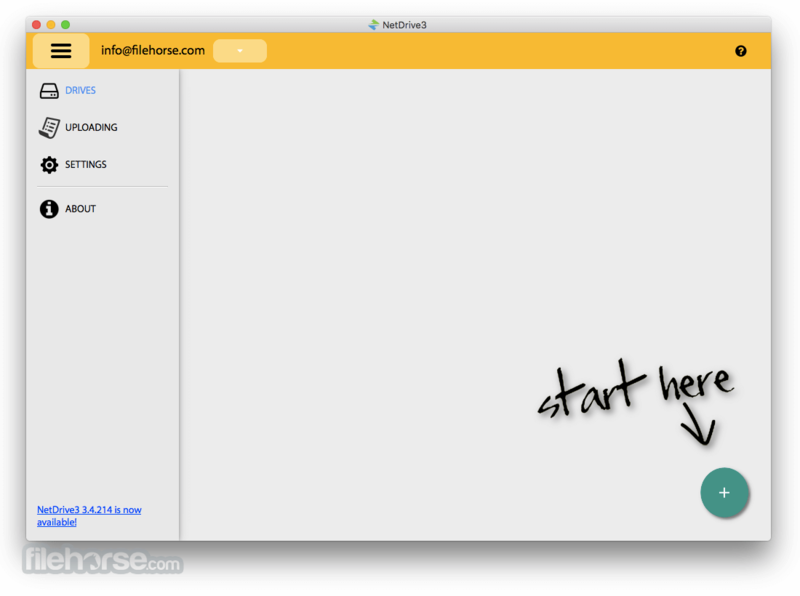 NetDrive for Mac is free for evaluation use. You will need to purchase license after evaluation use. Managing your favorite cloud storage services could not be easier. Simply provide login information, and all your cloud storage will automatically appear as a virtual drive every time you start your Mac. Note: 30 days trial version. 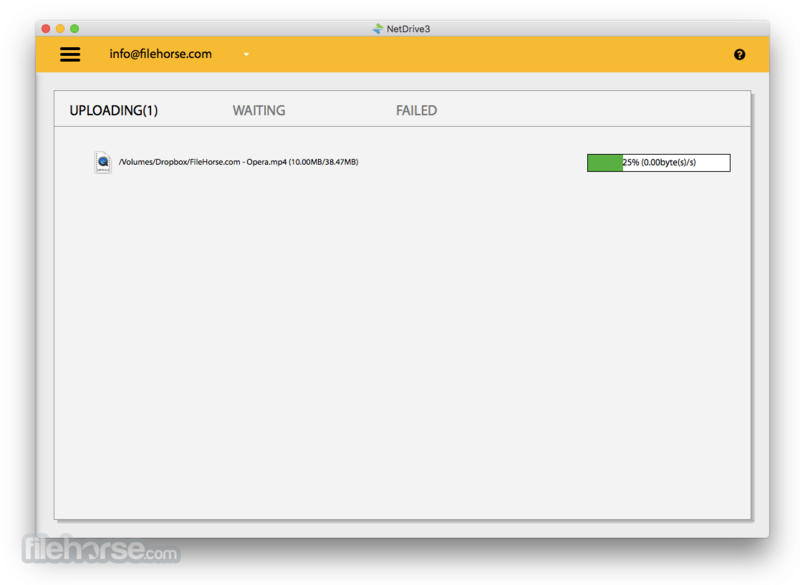 After the evaluation period ends, NetDrive will only be able to connect to one virtual drive and the "Automatic Connect" function will be disabled.